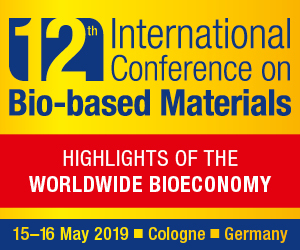 Around 700 high-ranking representatives from politics, science, civil society and the business sector and from more than 70 countries met in Berlin, Germany, from 19 to 20 April to discuss the latest developments and challenges in the global bioeconomy. This was the second time that German Bioeconomy Council had organized the Global Bioeconomy Summit in the German capital. 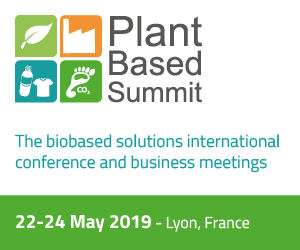 “We created an event format in the Global Bioeconomy Summit that succeeds in bringing together broad international expertise on bioeconomy, innovation, biodiversity and sustainability. Together with all the experts from different fields, we can identify important obstacles on our way towards a biobased economy, join forces to search for solutions and place them on the international policy agenda,” pointed out Joachim von Braun, Co-chair of the German Bioeconomy Council, referring to the huge worldwide response to the second Global Bioeconomy Summit. More than 100 top-class speakers contributed to the event. They included ministers and government representatives from Asia, Africa, Europe, South and North America; international policy experts from the United Nations, the Organisation for Economic Co-operation and Development (OECD) and the European Commission; as well as high-level representatives from science and industry. 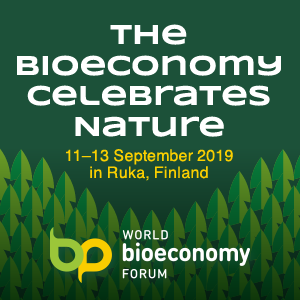 In ten plenary sessions and 14 workshops, the participants discussed a wide range of societal, scientific, economic and political challenges to implementing the visions of the bioeconomy, which often differed widely from region to region, in the context of the Sustainable Development Goals (SDGs). At the end of the 2-day conference, the 40 members of the Summit’s International Advisory Council recommended setting up an international mechanism or forum to support and promote: a structured exchange of policies and practices among the global bioeconomy community on the key themes identified by the GBS2018; a start-of-the-art knowledge base for bioeconomy policy and governance, specifically of evidence-based information and assessments that are considered trustworthy by all stakeholders; a competent and significant bioeconomy voice in global policy fora related to innovation, sustainable development and the Paris Agreement, providing a holistic perspective and considering the interdependencies between individual SDGs in the bioeconomy; the facilitation of international collaboration programs in bioeconomy R&D and capacity building oriented toward common goals. “Globally, 50 countries have issued policy strategies related to bioeconomy development. Yet the potential of the bioeconomy is still rarely discussed in international policy fora. What we need is a continued and, ideally, a more formalized international dialogue on bioeconomy. The Global Bioeconomy Summit has created a good basis for this,” said Christine Lang, Co-chair of the Bioeconomy Council, summarizing the recommendations of the final communiqué. ”The traffic lights for the bioeconomy are green”, stated Christian Patermann, one of the main organizers of the Summit.